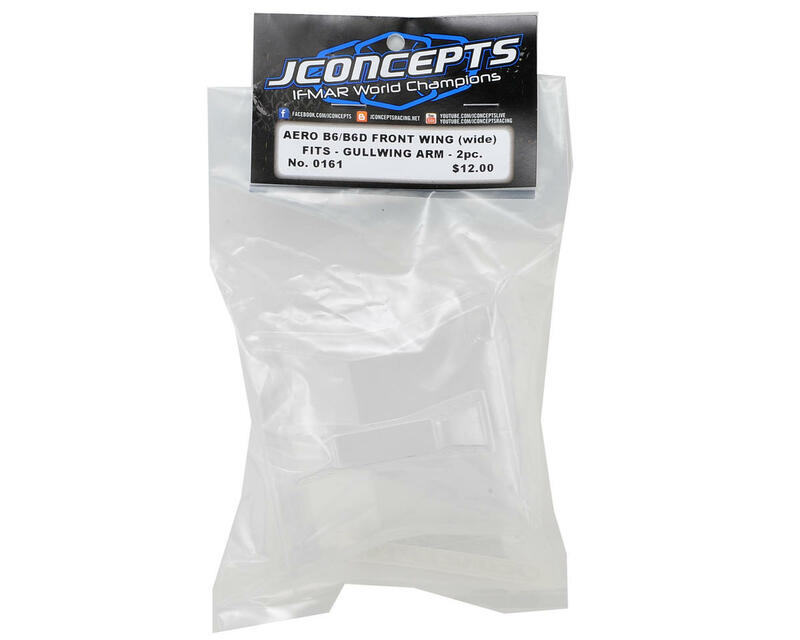 The JConcepts Aero B6/B6D Wide Front Wing features a high-attack design with trim-able rear gurney options developed for mid motor buggies on high speed, high grip tracks. Mounted on the front shock tower on the B6 series of vehicles, the Aero front wing mounts in “clean air” and is easy to trim, use and test without sacrificing all-important track time. Available in 2 widths, the driver can choose either the “narrow” for a lighter feel or “wide” for heavier down force. Available for both B6 and B6D front shock tower configurations, the JConcepts wing mounts just behind the front shock tower and is clinched between tower and inner shock nut. The front wings feature aligned holes for each shock position, however, it is only necessary to cut holes for the location chosen at that time. 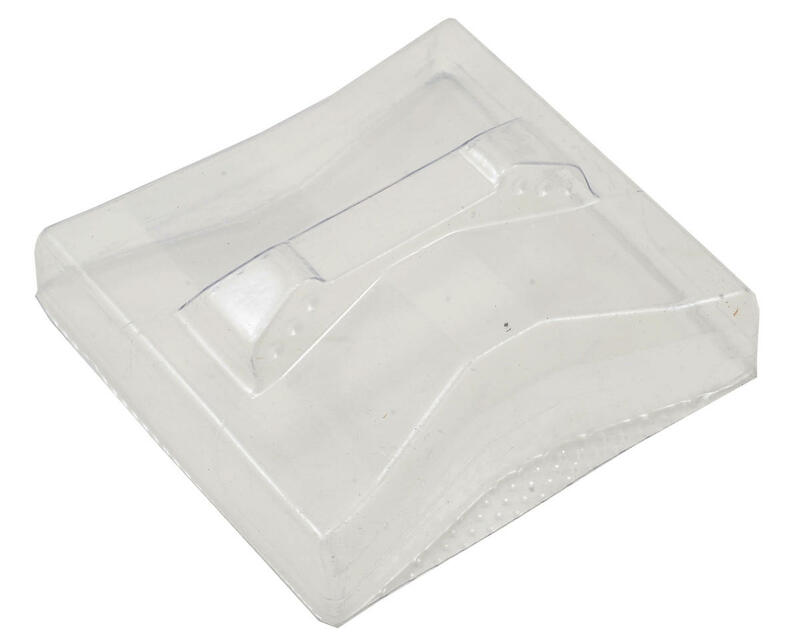 It’s not recommended to use thread locking compound near polycarbonate material due to a potential conflict.